"PURE VALUE MARKETING" does all the real estate marketing and real estate consulting. The company aims to provide helps to individual to find homes , provide real estate information at any criteria to help individual make better decisions to acquire it. The company is managed by qualified professionals who are dedicated to keep very high standards. To provide quality housing in low/middle/higher segment at optimal prices. To be a easily accessible bridge between investor/end user and developer. To be honest and transparent marketing company providing valuable services to all stockholders. 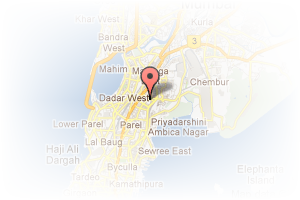 Address: neelam centre, Worli, Mumbai, Maharashtra, India. This Broker Profile page for "Pure Value Marketing" has been created by PropertyWala.com. 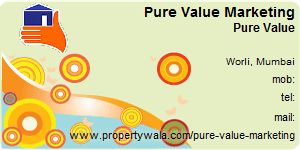 "Pure Value Marketing" is not endorsed by or affiliated with PropertyWala.com. For questions regarding Broker Profiles on PropertyWala.com please contact us.